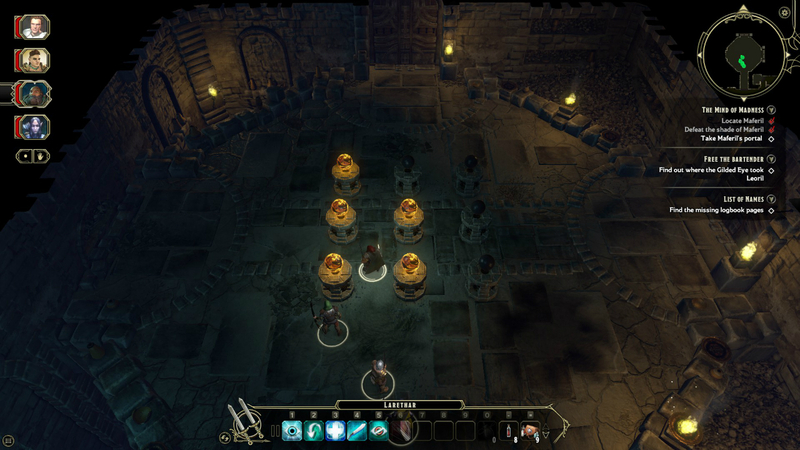 The elevator pitch for Sword Coast Legends was concocted in a cauldron specifically to make the Zack Furnisses of the world greedily salivate. "That 5th edition D&D that you love Dungon Mastering for your players?" n-Space asks, churning the pot with its over-sized ladle. "We're going to translate that into a digital format, so that you can keep your players with you even when their schedules don't allow. And you like old cRPG games, right? 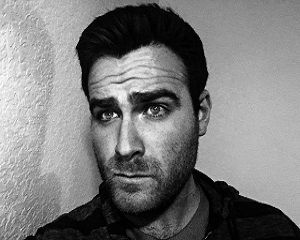 We're even going to throw in a single-player campaign to bring back those memories." And it does bring back those memories! 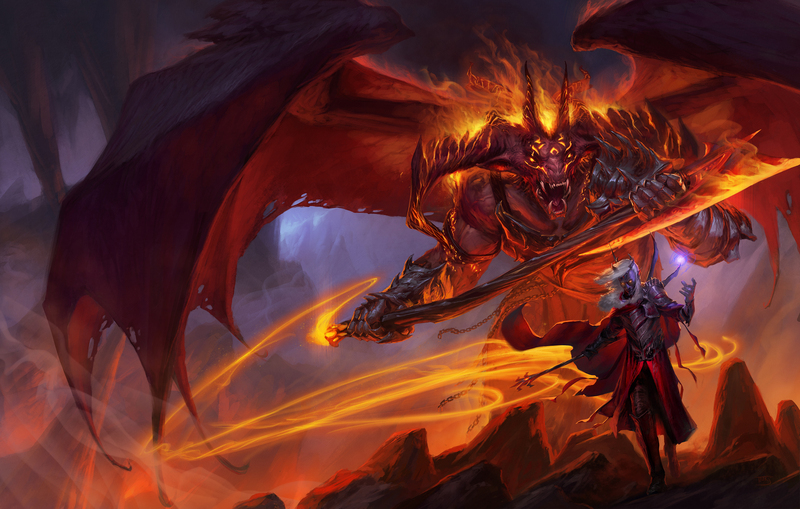 Sword Coast Legends finds every way it can to make you wish to return to those older, better games. Let's skip past the initiative roll and go straight to the most baffling decision n-Space made. Dungeons & Dragons' 5th edition came out last year and has remained hugely popular since then. This leaves an opportunity for n-Space to both attract new fans and provide old fans with the oft-dreamed of digital stomping ground. 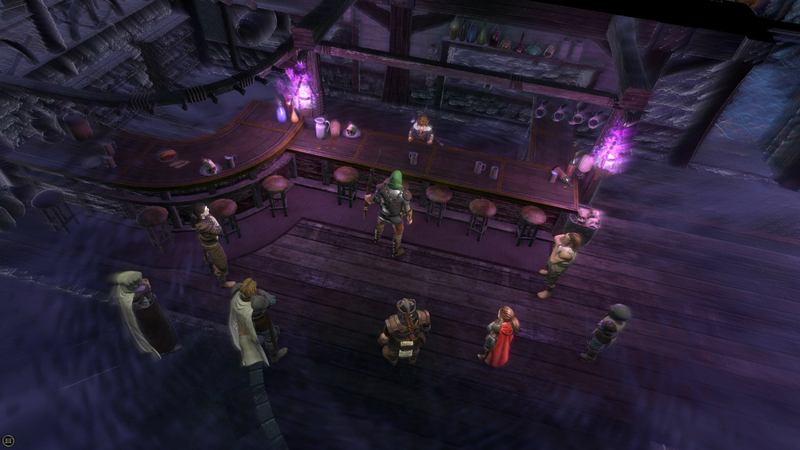 It would be difficult to achieve, but if traditional D&D and Sword Coast Legends offered even a semblance of parity, people would be willing to forgo the magic of an evening's revelry with real friends in exchange for the convenience of playing online. Instead, there's an uncomfortable content divide. Even as you start creating a character, it feels like half of the game is missing. There are only 5 available races at launch, as opposed to the 9 that are in the Player's Handbook (12 if we count the races added in the Elemental Evil Player's Guide). This feels even seedier when one of the first NPCs you meet in the single-player campaign is a Tiefling, one of the races that you can't choose. Likewise, only 6 out of 12 character classes are available. Tieflings are confirmed to be coming soon, but this piecemeal distribution feels seedy. For now, upcoming DLC will be free, but I wouldn't be surprised if we see future races and classes for sale. Once you get past your race and class, you'll choose your abilities from skill trees that don't match up with what you can choose in the pen-and-paper game. 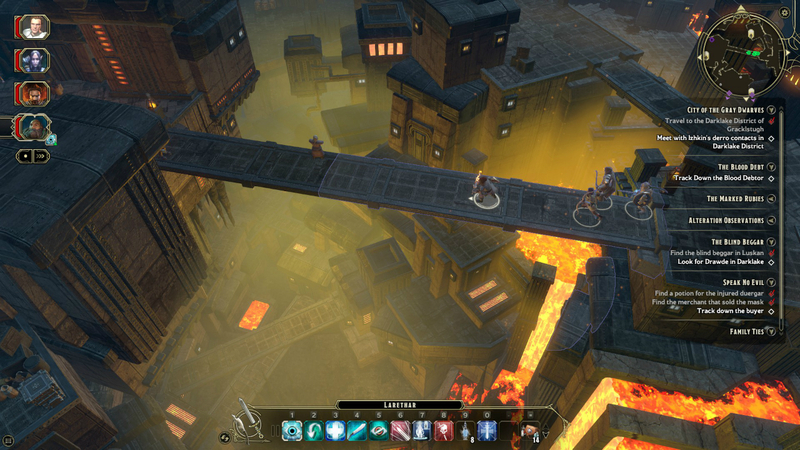 These abilities are used in an isometric, real-time combat system that feels like a somersault through tar. It falls somewhere in between the turn-based combat of Divinity: Original Sin and the instant gratification of Diablo. I generally don't mind slower combat but this could have been fairly titled Cooldown: The Game since you never have much more to do than wait for powerful attacks to be ready again. You can set it up to be a more tactical game by setting up different pause rules (such as pausing after every attack, or when a character dies), but since every enemy seems to have too many hit points, that doesn't feel much better. Most dungeons go on like this: your rogue searches ahead for traps and secret doors, you eventually encounter enemies, and you kill them with monotonous MMO-style combat. If you're lucky, you might have to solve a puzzle. If you're really lucky, said puzzle will make you think for fifteen seconds. Usually you're just matching runes to open doors, though there are a couple of tricky segments. These are never fun, just time-consuming. Did we really have to do the "turn off a 3x3 grid of lights" puzzle again? No! No! The single-player campaign isn't especially exciting, but the story is serviceable. Your character is a member of guild that's been plagued with bad dreams, and you'll battle monsters and demons across Faerûn and the Underdark. Curiously few dragons, though. Plot beats are predictable, but the cast of characters are entertaining enough to keep you going. Hommet, the cordial, sarcastic Necromancer, is a highlight. You'll have plenty to do if you want to finish all of the side-quests and find all sorts of fancy loot, but the core combat isn't compelling enough to warrant a replay. I finished in about 25 hours, which felt too long by half. There's also drop-in, drop-out multiplayer that works consistently, which helps break the monotony. After trudging through the campaign, I played with the creation tools. I could forgive a forgettable campaign if I was going to be able to forge my own. These too are a letdown. Though you can create your own quests with your own flavor text, the system feels limited. Everything is prefabricated and it's difficult to create a module that is significantly different from someone else's. In the end, all you can really do is have your players kill x amount of things, find x amount of things, or kill a boss. There are no skill checks, so the imagination possible in pen-and-paper is restricted here. Most player-created modules can be played without a Dungeon Master, but it's more fun when one is present. Dungeon Masters play as small wisps visible to the other players, mischievously whipping from room to room. You can place traps, enemies, and all sorts of weird little objects just to be strange. I quite enjoyed surrounding my players with treasure chests as they tried fighting a demon spider, tantalizing them with untold riches if they could survive the battle. Of course, I made half of them mimics, and all but one of the rest disappear. Moments like these show the promise of more open tools, and give me hope for the game's future. It really doesn't help that Sword Coast Legends looks so completely dull. The vibrant colors do help to offset this, but it looks as though it could have come out in the mid-2000s. Environments fare much better than the character models, which look and move like rigid action figures. In a game where you're going to be spending so much time in dungeons, it'd be nice if they were somewhat different from one another. Particle effects also suffer, and make the combat feel even less crunchy. Spells feel neither tactile nor tactical. Inon Zur's music is often sweeping and memorable, and is a definite highlight. Every so often, the right song comes on and the game clicks, becoming a Diablo-lite where you can mindlessly clear dungeon after dungeon, and it's not so bad. But then you remember that it's a game about telling instead of showing, where flavor text reminds you that the nice little town you keep going to is supposed to be rowdy and full of pirates. Where you'll once again kill entirely too many rats. I experienced a great deal of bugs in my time with Sword Coast Legends. Items would fail to be clickable, enemies would be invisible (and no, it wasn't a failed perception roll), it crashed to desktop a few times, and there's a widespread need for polish. A few more months on the anvil were clearly needed to hammer out the unfinished edges. 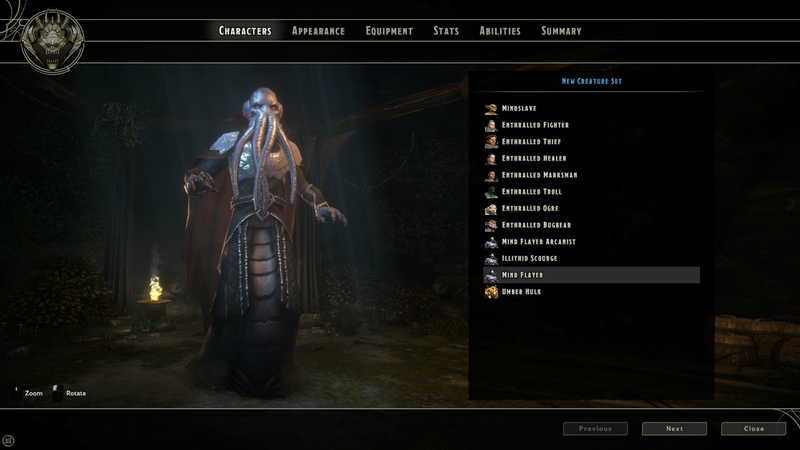 In fact, in a few more months (or even years), Sword Coast Legends' creation tools might be a powerhouse. If n-Space remains steadfast and keeps working on them, this might eventually be the digital Dungeons & Dragons many were hoping for. People won't mind buying new adventures, classes, and races if they come out alongside new pen-and-paper releases! But don't blow all of your goodwill with sectioned-off content. As a Dungeon Master, I'm selfishly rooting for you. Just no more gods-damned 3x3 light grid puzzles.